Thought Bubble and Myths and Monsters launch! 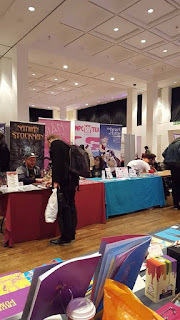 Since winning the Thought Bubble Comic Art Competition in 2014 and attending the fair for the first time then, I really wanted to table there one day. 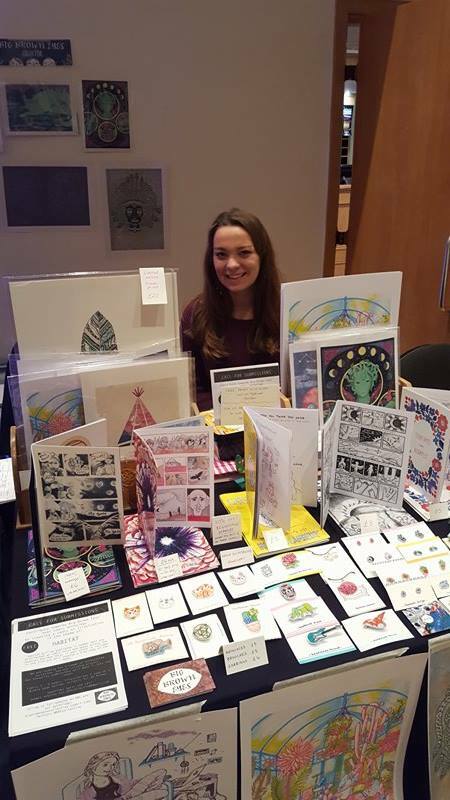 It was an intimidating prospect, being a pretty massive event compared to the smaller scale fairs I've been to recently, but my ambition paid off this past weekend (5th and 6th November) when myself and my sister Karis (as the Big Brown Eyes Collective) had a half table in the Royal Armouries Hall! 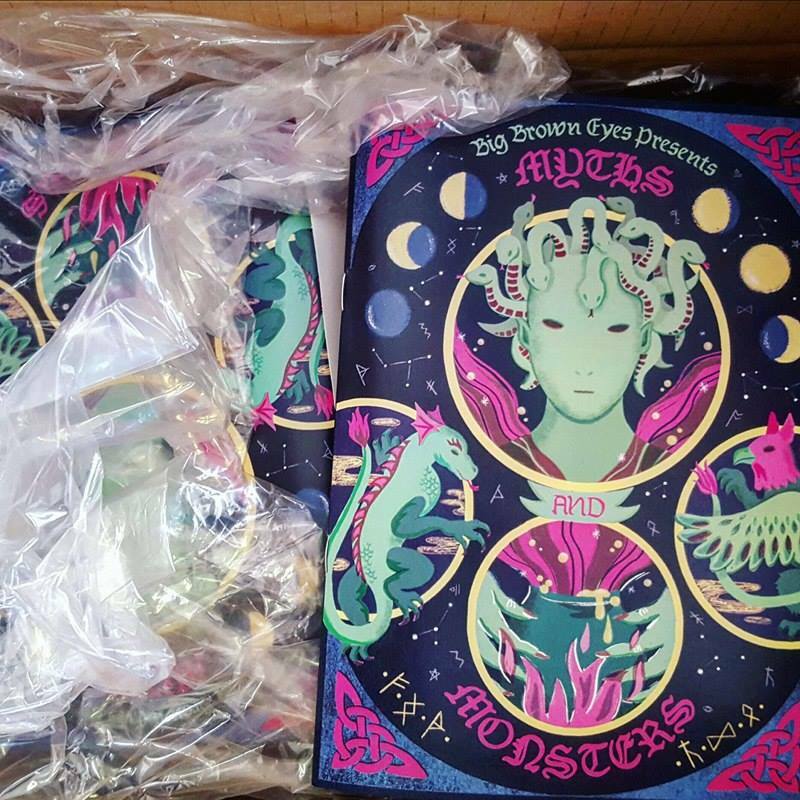 We'd been working on our new anthology Myths and Monsters for several months and managed to get it together and printed in time ready for the fair. 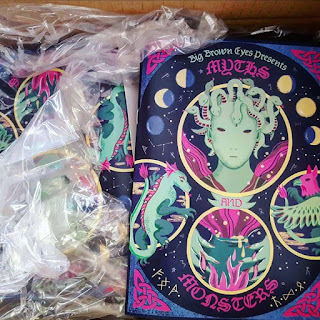 The unboxing is always very nerve-racking but thankfully the colours look great and the cover I'd designed is all nice and central - phew! Peeking out between the prints! 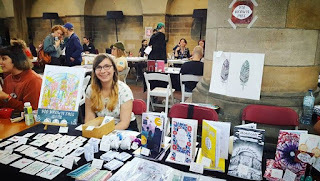 We were in the Royal Armouries Hall which I really liked, as it was still a big room but compared to the New Dock Hall it was a lot smaller and felt like we weren't getting lost amongst too many people! We had some really nice neighbours either side of us too who we chatted to throughout the day: Joy Suke and Lorenzo Fruzza. Their work was amazing and they were both so friendly it made the day go quicker rather than just me and Karis talking to each other. It was fun seeing all the cosplayers pass by as well. We especially loved a couple who had dressed up as Tulio and Miguel from The Road to Eldorado! 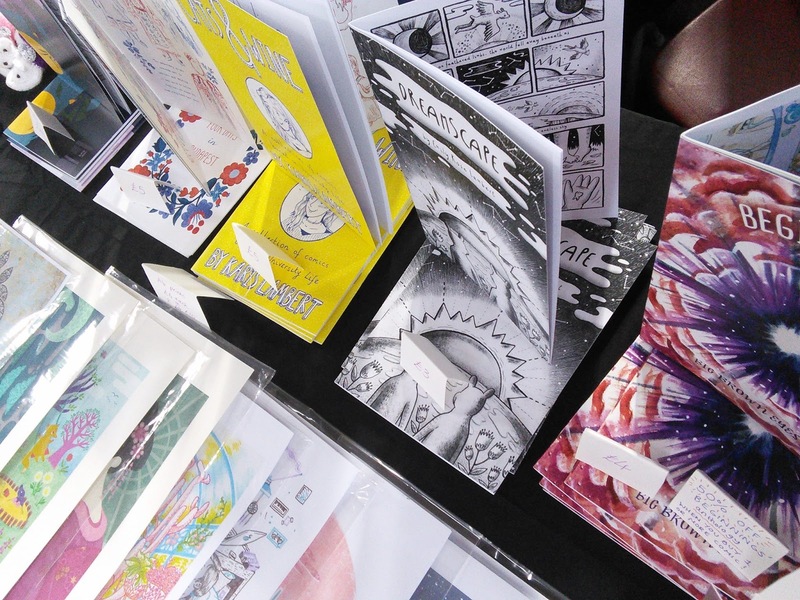 Andy Oliver (Broken Frontier's Editor in Chief) paid us a visit too which was lovely. He's been supporting my work, and that of our collective, since our first book debuts into the self publishing world last year, and his continued support and promotion of our work means a lot - thanks Andy! 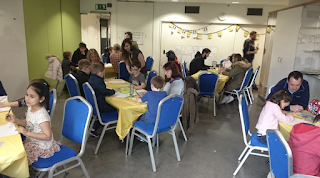 We didn't stay behind on Saturday for the after party and sadly we had to dash off on the Sunday too, so we missed out on what would have been some great socialising post-fair. But we're determined next year to go all out and stay the entire weekend so we get to meet more people, as that is what I've found makes the whole experience worthwhile. 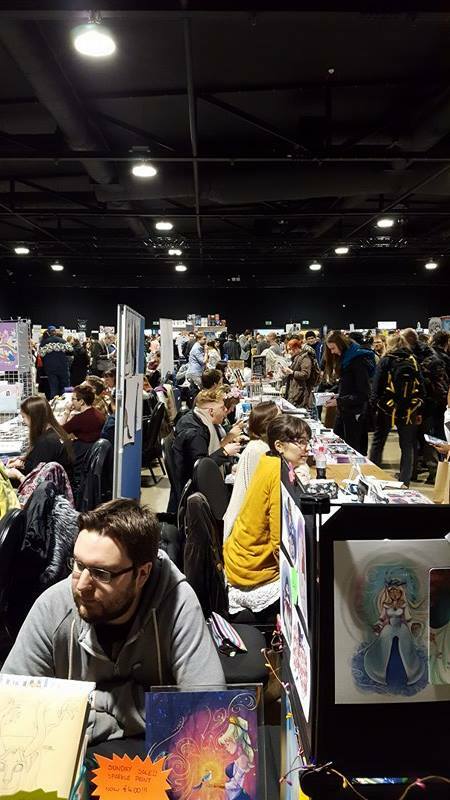 New Dock Hall was so busy! I did my first comic swap with the lovely Emma Raby (a fellow Broken Frontier's 'One to Watch'! 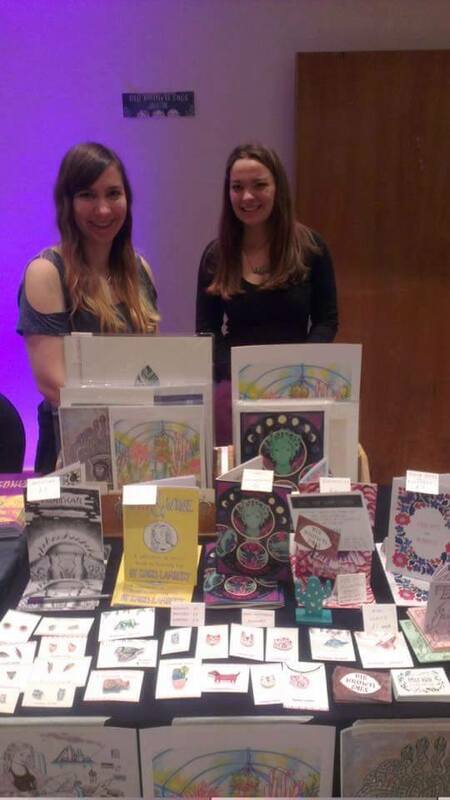 ), exchanging our Beginnings anthology for her beautiful comic The Dead Moon. An amazing event, definitely will be applying again next year! 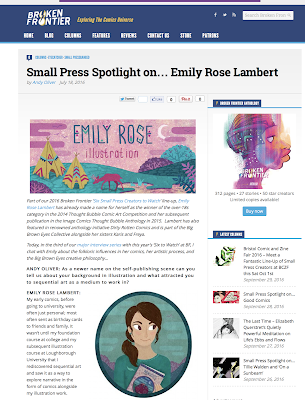 I forgot to link an interview I had back in July by Andy Oliver from Broken Frontier! 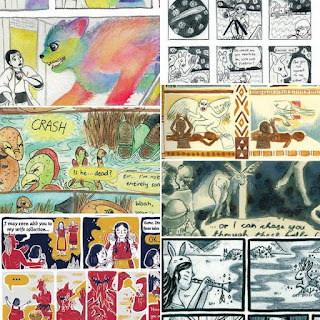 This is part of the small press 'spotlight' on the artists named 6 to watch this year on the site. 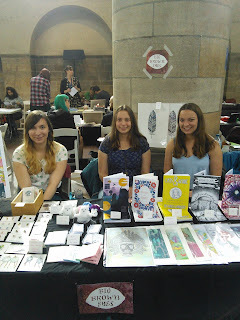 At the weekend myself and my sisters had a table at the Leeds Zine Fair as our Big Brown Eyes Collective! 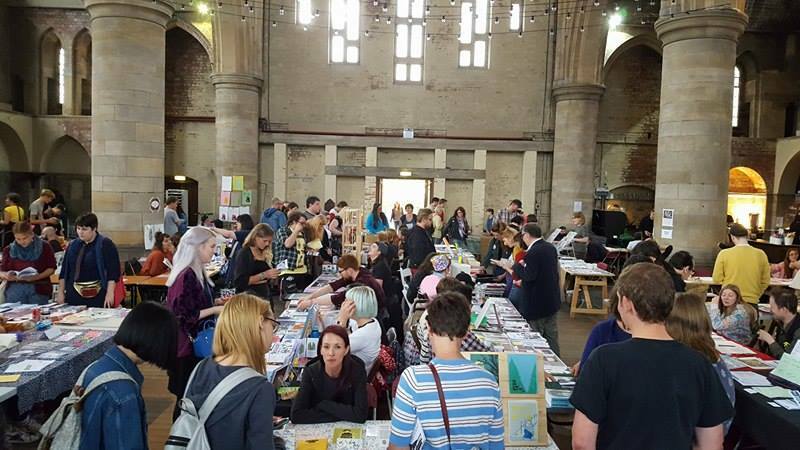 With us not being able to go to the Bristol Comic and Zine Fair this year, we decided to try and fit in another fair before Thought Bubble in November (also in Leeds). The venue in the unused church at Left Bank was amazing, by far the prettiest venue we've had a stall at so far. We'll definitely be going again if there's the opportunity! The Big Brown Eyes Collective! 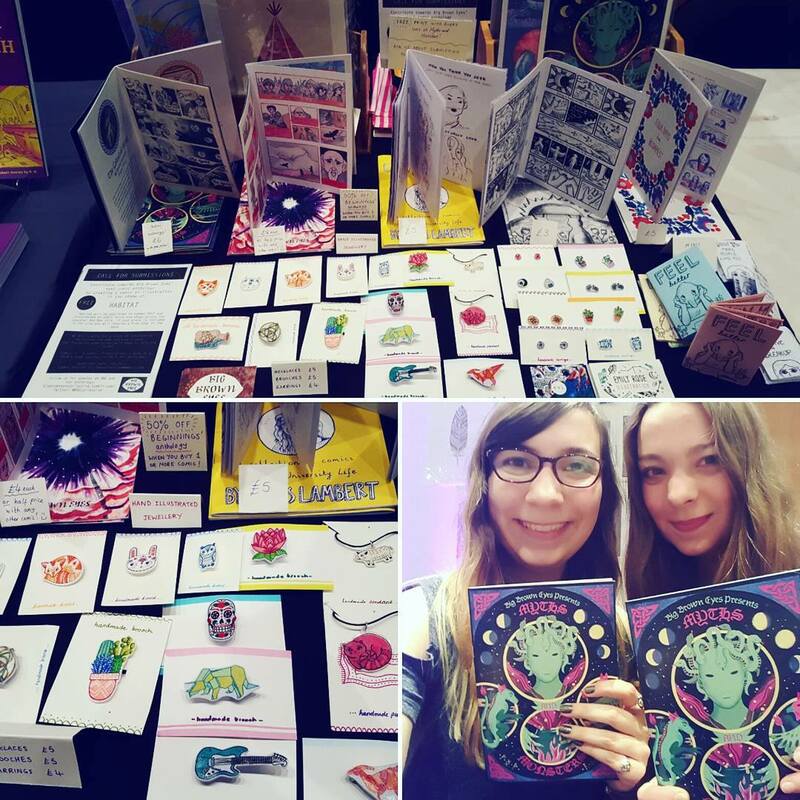 We took our usual comics and zines, as well as some freshly printed minis and hand illustrated jewellery. 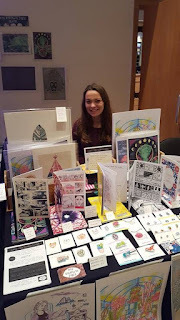 This time we also had prints of our illustrations which went down well, so we'll be adding to our print batch at future fairs with some new designs. 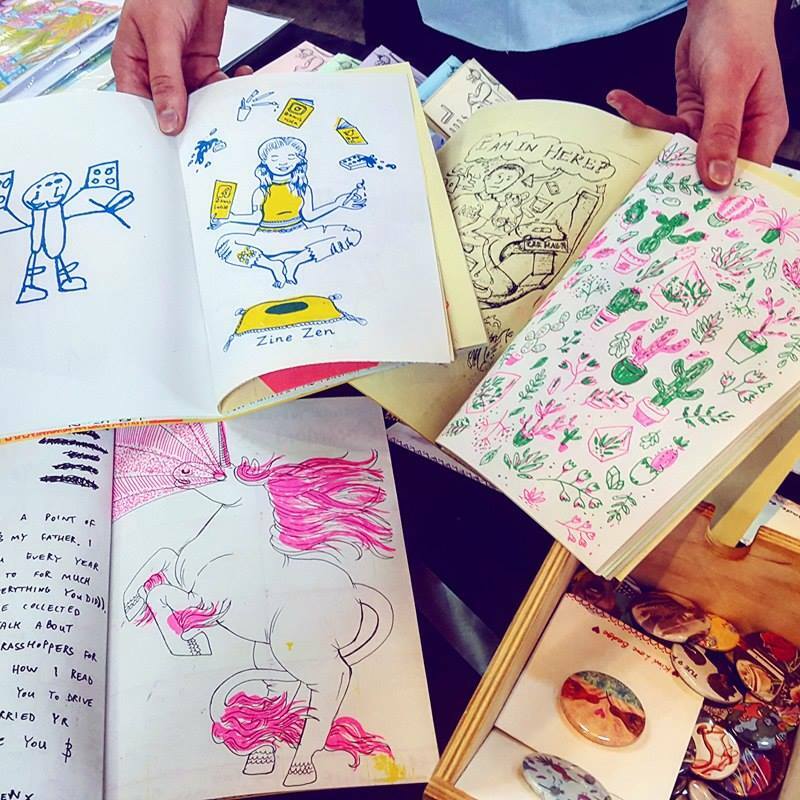 We were invited to contribute the Leeds fair zine-in-a-day which was printed on a risograph printer during the day. We had to get our entries in quick so they could start running off copies, so we rather manically began sketching away behind our stall. 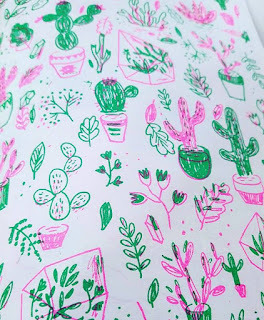 I made it a bit complicated for myself by drawing a 2 colour pattern of cacti and foliage which I couldn't align properly with the thick paper I drew the layers on, but I loved the outcome of my page despite the dodgy alignment. 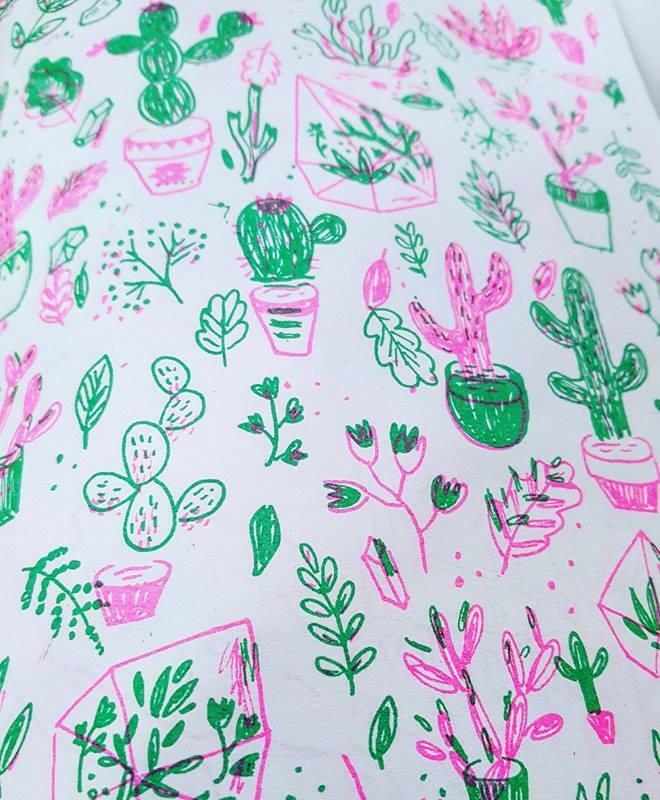 I've always wanted to try risoprint so seeing my work printed in that way for the first time was pretty cool! 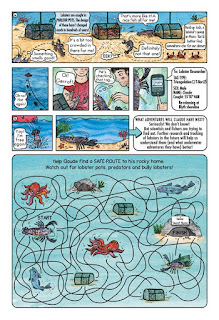 Definitely a process to consider for future work as opposed to digital printing. 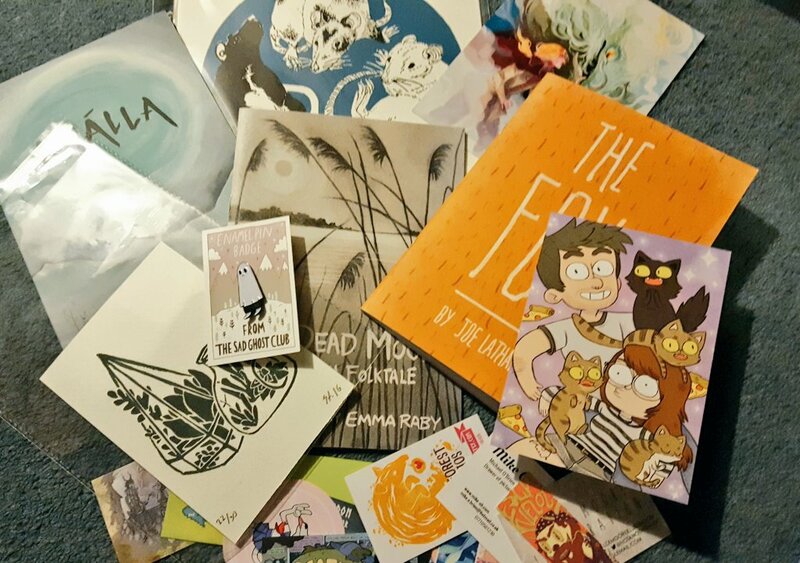 My page in the zine! 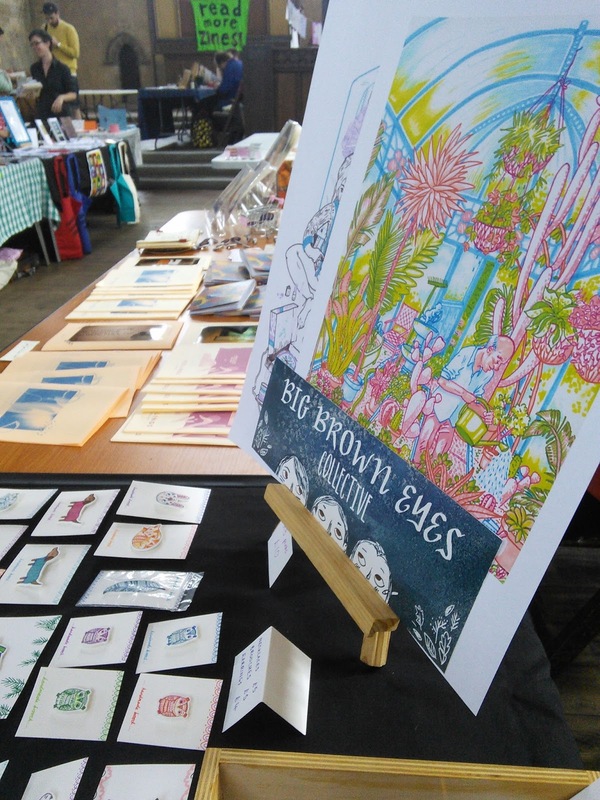 I bought these lovely riso prints from our next door tabler Dimitri Pieri. 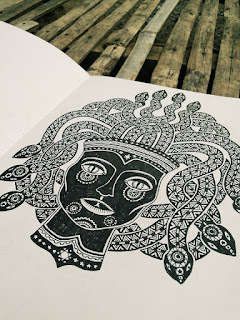 I've been on the look out for some artwork to decorate my studio walls (now I have one!) and I just thought these were so unusual and I loved the little 4 eyed beings featured in each of his prints. 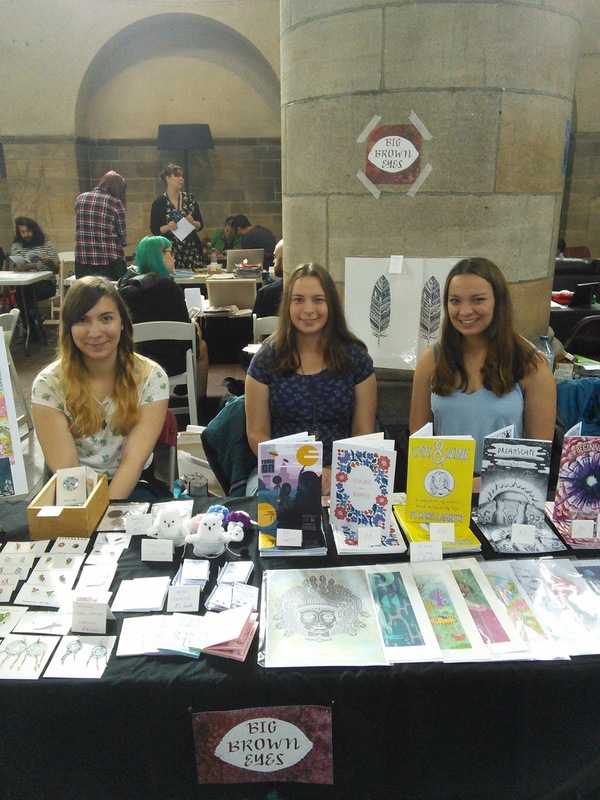 Thanks to everyone who stopped by our stall at the weekend! Our next event will be the Thought Bubble Comic Art Festival 5th-6th November 2016 where we have a half table in the Royal Armouries Hall. 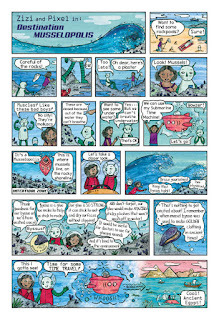 A belated post on a project I worked on last year - a 4 page comic for the Newcastle Science Comic. 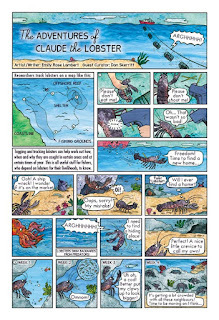 My pages formed a chapter within a selection of comics by different artists illustrating fun and interesting facts about invertebrate creatures. 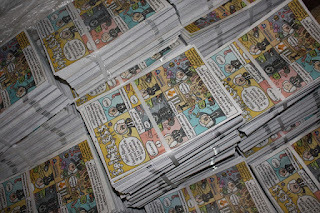 The final comic was available for visitors of the Great North Museum: Hancock to pick up for free during the 'Spineless' exhibition. 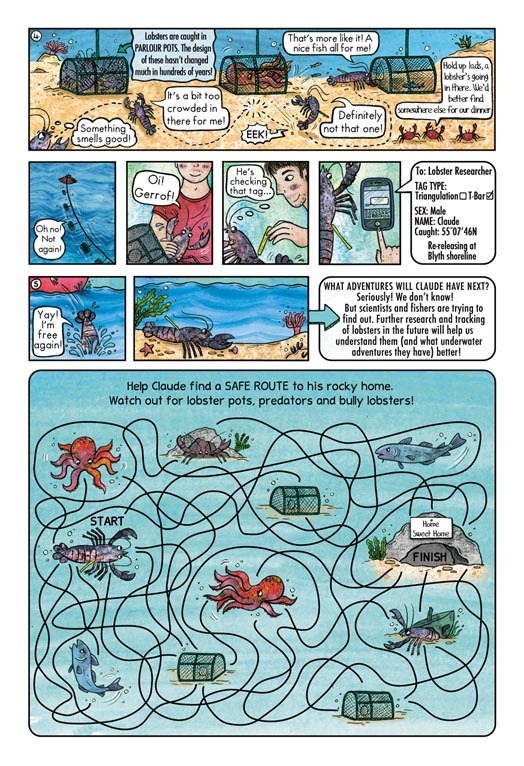 The chapter I was given was Seashore: Lobsters and Mussels. 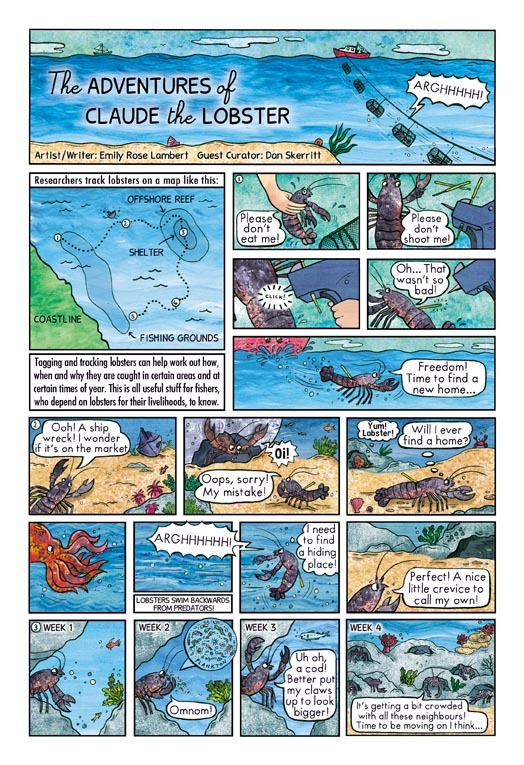 I had to specifically design my comic around lobster tagging/tracking and mussel byssus, and also had to collaborate with a scientist and curator of the exhibition to ensure all facts and figures were accurate. 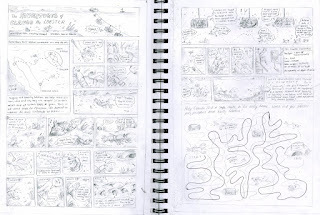 I work out the script and layouts for each page. 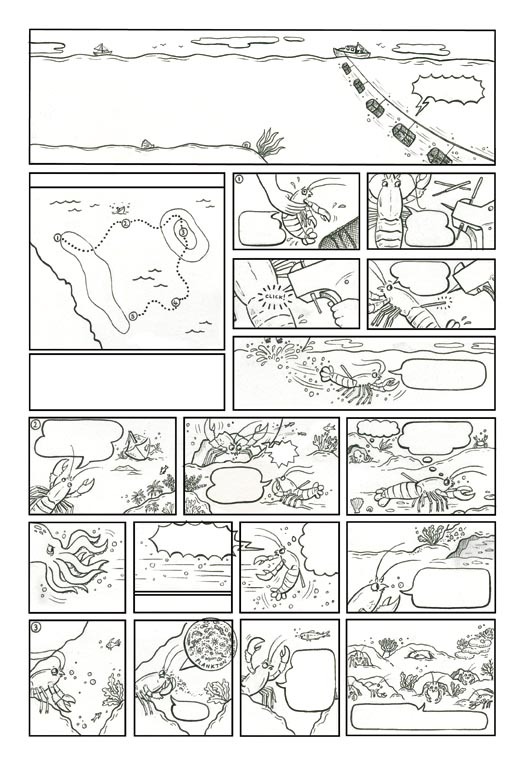 Ink outlines for the first page. 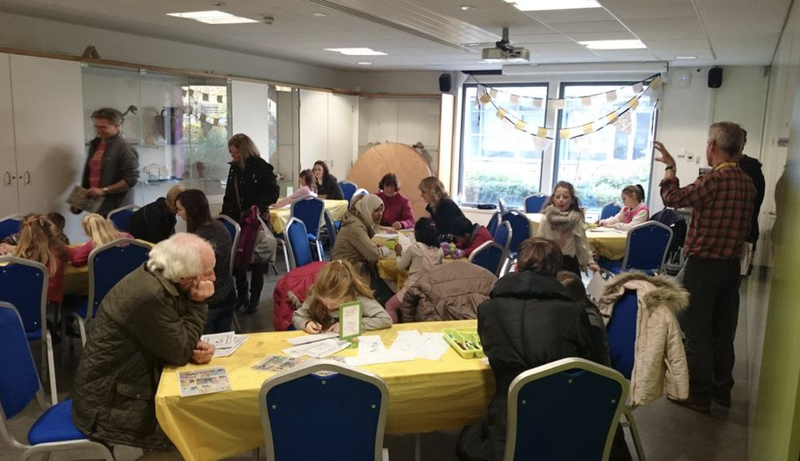 The exhibition was put together really well, with lots of areas for children to play, interact and learn fun facts. There were even some live exhibits of beetles, spiders and other creepy crawlies which I thought was a really cool addition. 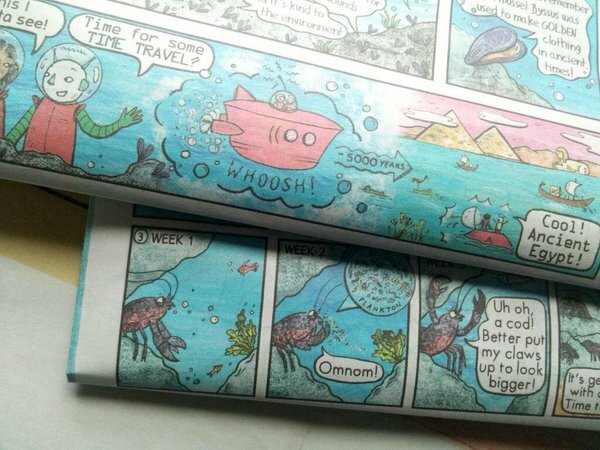 The finished comics ready for takin' ! 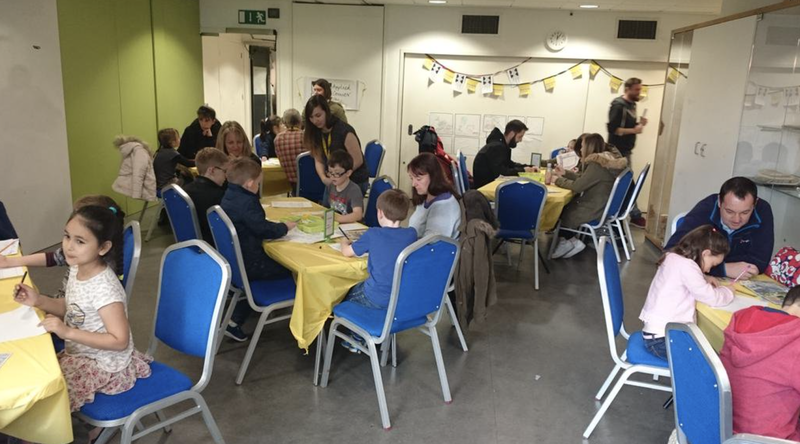 During the half term holidays I was invited to assist as a guest artist in some workshops themed on the Spineless comic and exhibition. There were some great comic and drawing activities that children (and parents!) could take part in, and they were really popular events. I really enjoyed the experience and would love to help out at more workshops in the future. It made me realise how much I've missed working with children since being a Nursery Assistant at University! 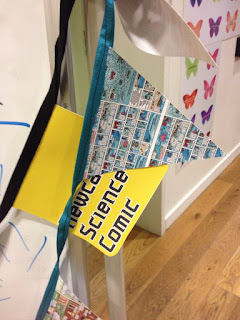 Loved seeing my comic as bunting! 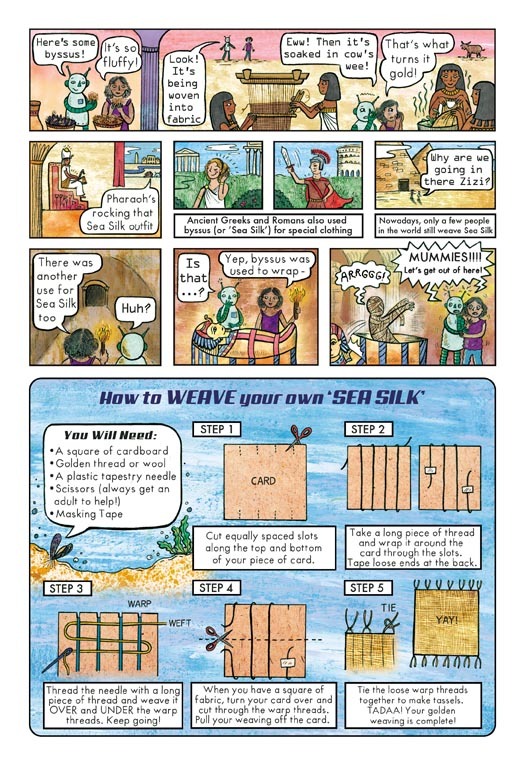 I'm a bit behind on posting some of the work I've been doing (pre house move), but my latest comic project is now complete! 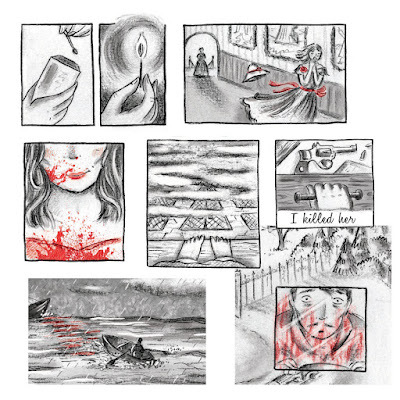 I was delighted to be invited to submit a comic for The Graphic Canon- a series of anthologies, in which artists adapt classic works of literature into comics, illustrations and narrative art. 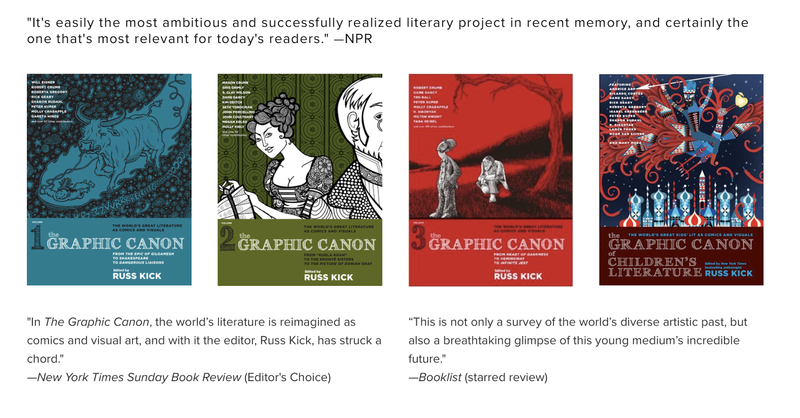 I'd seen the books in shops and on Amazon, but never imagined I might be one of the contributing artists. 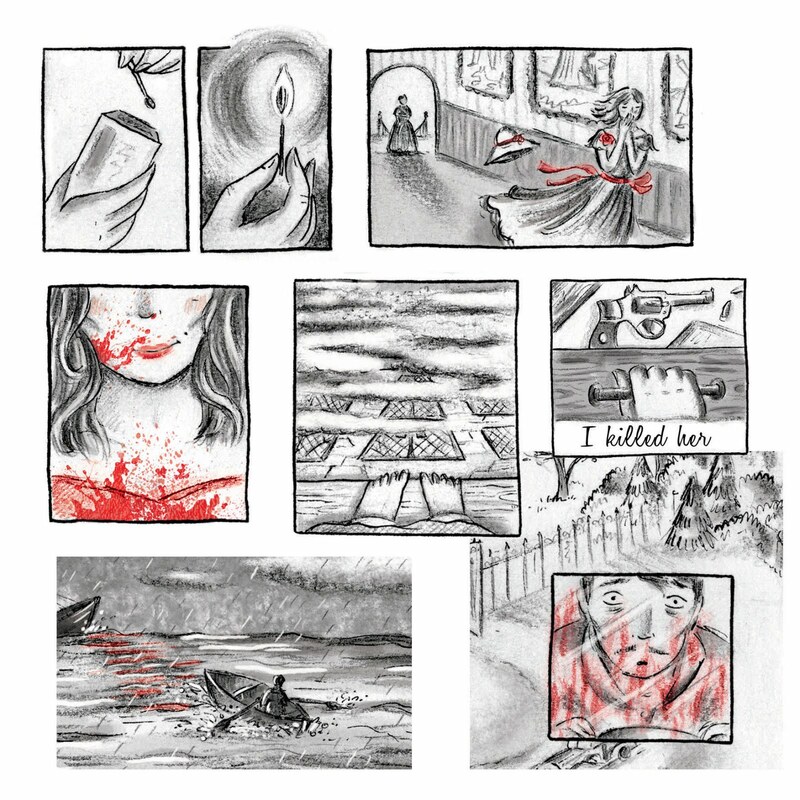 For the project I was provided a list of novels to choose from and chose Rebecca by Daphne du Maurier to make into a six page comic. 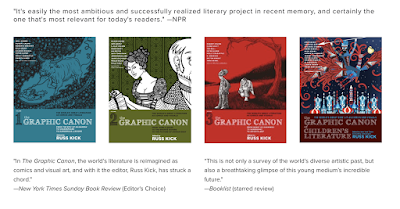 Having a choice on what novel was really great, as it allowed me to look through and choose which story might suit my style and way of working better than others. I was really worried I wouldn't get it finished in time for the deadline, as we moved house right in the middle of the time frame I had to finish it in! But I thankfully ended up getting it done with a couple of weeks to spare which took the pressure off a few busy weekends sorting out the house. 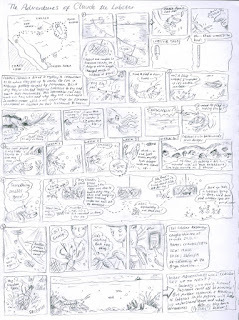 I always take the longest time planning out the comic, as this is something I struggle to decide on and is probably the weakest element of my comic work at the moment. I'm hoping in future projects to play with layout more, as I find it's always too tempting to confine everything to boxes and not be overly inventive with layout. 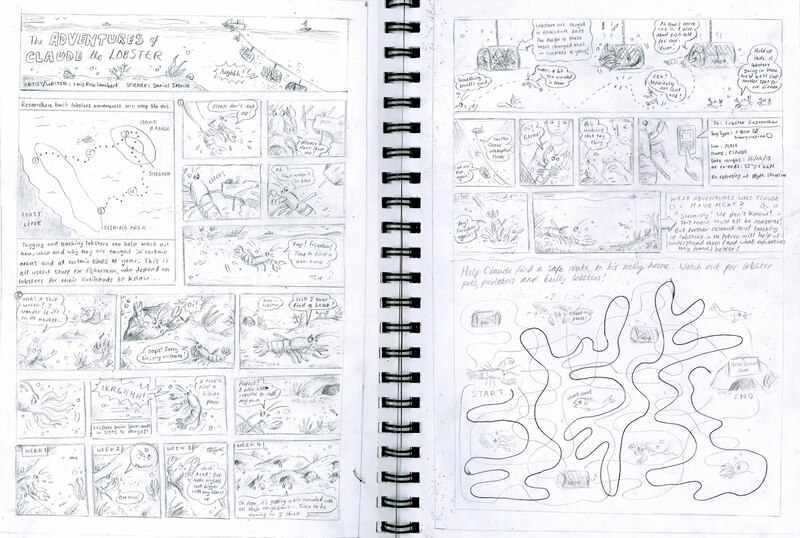 For this comic I tried to vary closely packed panelled pages with larger, sparser spaces so it didn't look too busy which I think worked well. 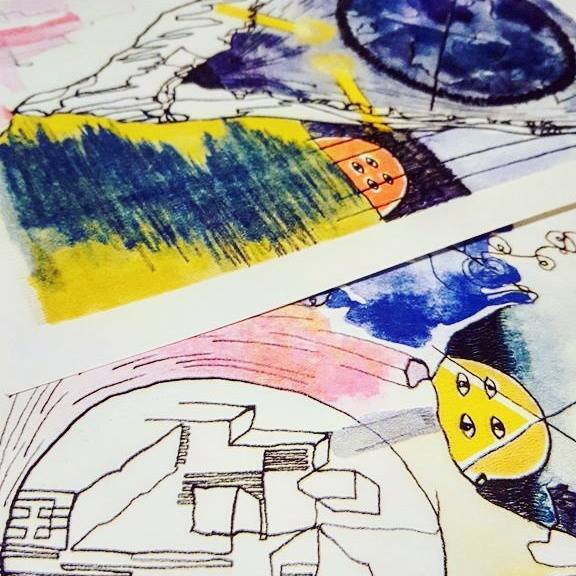 Starting to create the final artwork. I used Faber- Castell artist pens and soft pencils for shading. 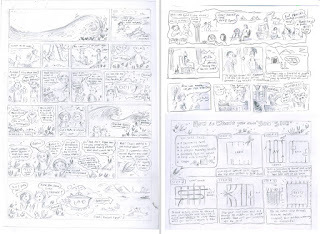 I found with Rebecca that it's very dialogue heavy and this was also something I struggled to fit into the layouts. 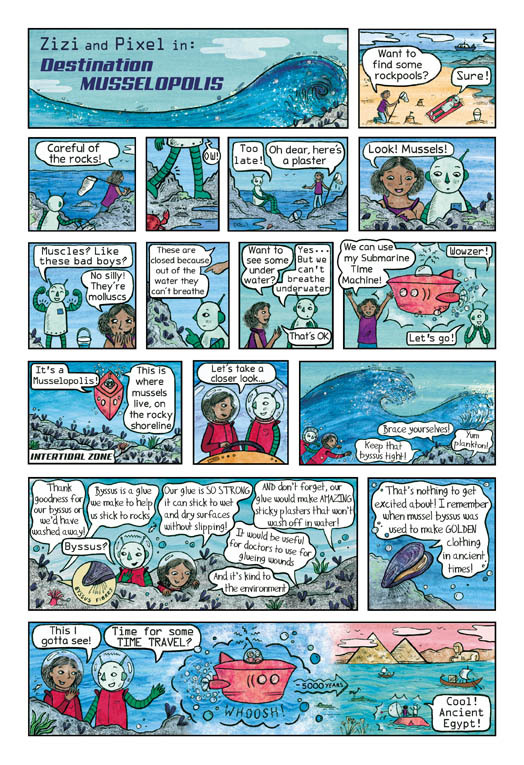 For some reason I really hate speech bubbles! And was originally going to make the comic wordless. 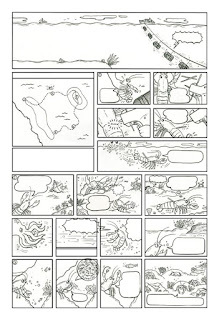 However, some of the crucial scenes are very dialogue heavy, and as a lot involved conversations between characters, I felt like I couldn't avoid adding in speech bubbles, but made sure three of the pages only have a few lines of text, one being totally wordless just to allow some breathing space. I also made the speech bubbles themselves a bit subtler in pencil so they wouldn't draw the eye away from the images where there is a lot more text. Spreads laid out on the screen ready to send to the client. original pen and pencil drawings. 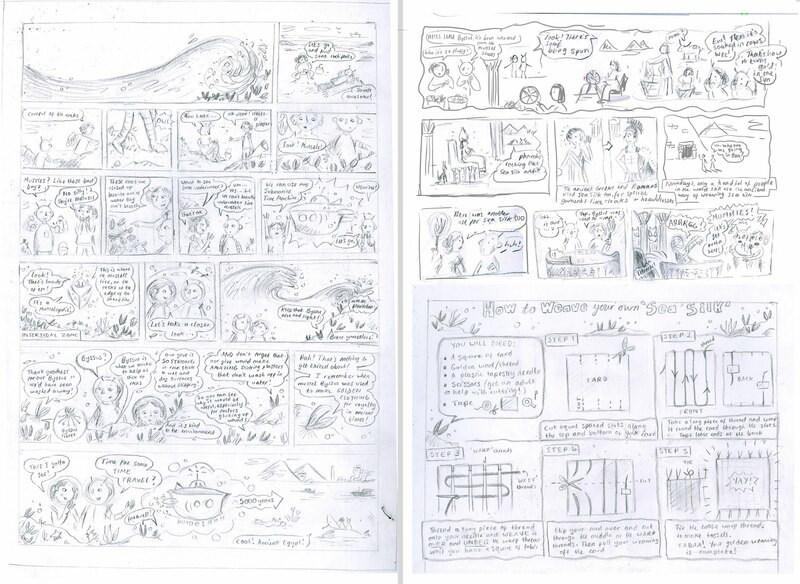 As always I can see areas for improvement but am happy with the end result, and am pleased I stuck with traditional media for it, as I don't think the comic adaptation of the novel would have suited looking more digitally created. 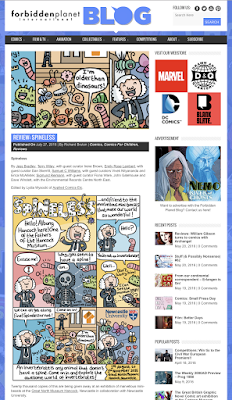 If all goes well, this should appear in the next Graphic Canon book. 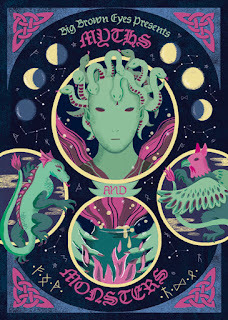 This will be the first time my work will be published internationally which is amazing, so I'm really looking forward to seeing it in print if it gets through the editing process and makes it into the selection - fingers crossed! From Spring time last year (when we started the search) to February this year, my partner and I have been in the process of buying our first home together. And it's been a l-o-n-g and stressful process, with lots of things seeming to go wrong, falling through and just not happening along the way! I'm pleased to say we are now settled into our first house, now nearly fully furnished and decorated, but still with a lot of sorting and organising to do! 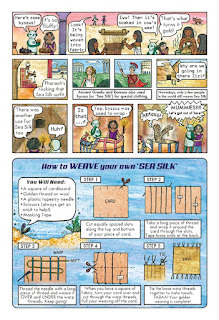 Unfortunately getting all the house stuff sorted and the general stress and worry of the move put a bit of a block on my creative flow, although I managed to complete a comic commission a few weeks ago (more to come on that soon) which was a nice project to ease back into comics after a long break! This blog used to be a more frequent outlet for updates on my projects, self-criticism/analysis of my work and sometimes mini-reviews of comic events I've been to. 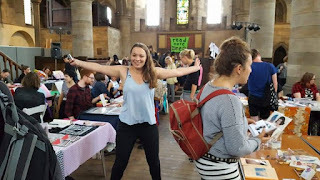 But recently I realised that I'd pretty much dropped off the social media universe, and both my blog, twitter and website are starting to gather a few cobwebs! 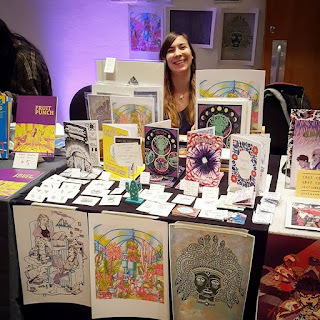 So in the next few months I'm hoping to update stuff and re-vamp a few things - including my almost empty Easy and Big Cartel stores, so keep an eye out for new things appearing... eventually! 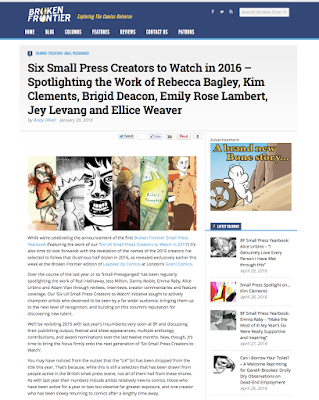 At the beginning of this year I got a lovely surprise email from Andy Oliver (www.brokenfrontier.com) saying that he'd included me as one of 'six small press creators to watch in 2016' on Broken Frontier. This will probably include some interviews / features later this year with what I've been up to small press-wise, so I'm really keen to start some new work (if only so I have something to talk about in any interviews!) and it's given me a well needed boost in confidence over my work. I am already a fan of the other people on the list and was really surprised that I was among them, having only self published 2 of my own comics, but I'm really excited to be on the site as 'one to watch' and get my work out there a bit more - especially as I've been quite quiet on the social media front recently! My section on the post! Myself and my sisters have started planning for our next collaborative Big Brown Eyes zine. 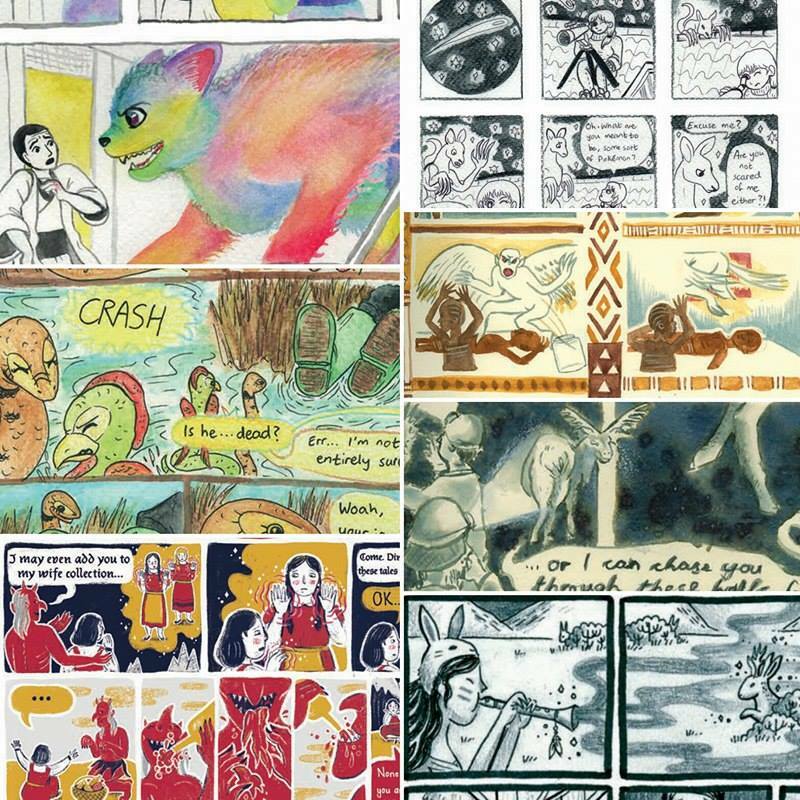 Our last zine 'Beginnings' ended up being more of a mini anthology of comics than the illustrative zine we planned initially, but we were pleased with the outcome and the positive reception it got. 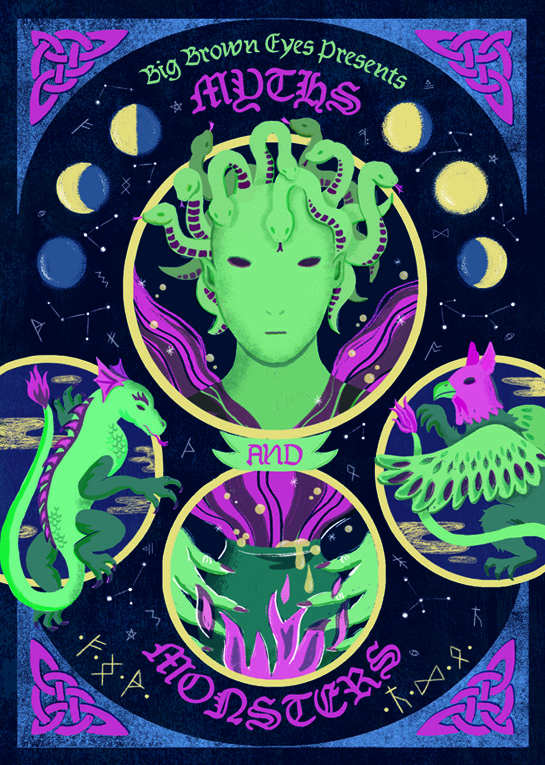 Our working title for it is Myths and Monsters, so it's themed on all things monstrous and beastly which is a theme that we hope should suit all our styles, as we all share an interest in that sort of thing. 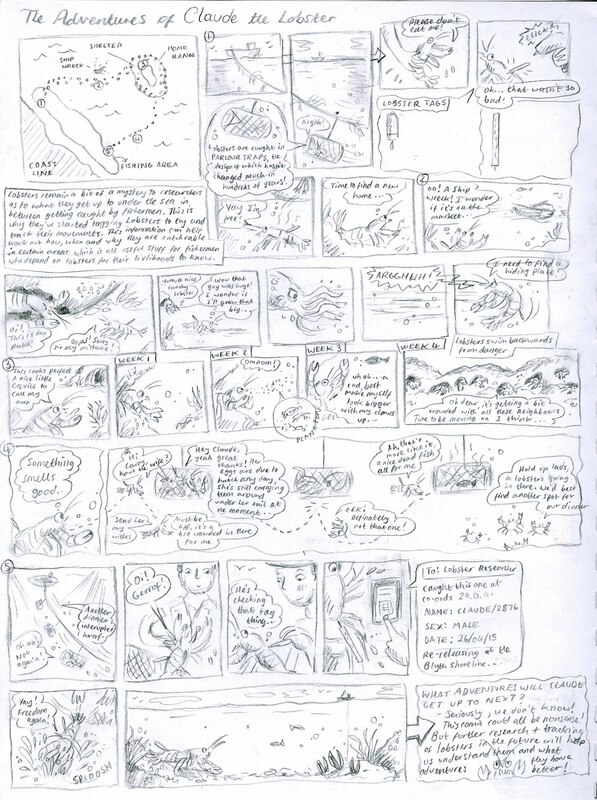 I'd like to try a coloured comic for this zine, perhaps in my digital style, as my one for Beginnings was in black and white ink. We are excited to announce that we have a table at the Thought Bubble Comic Art Festival in November and this is where we will be releasing our new zine and some new individual comics too. 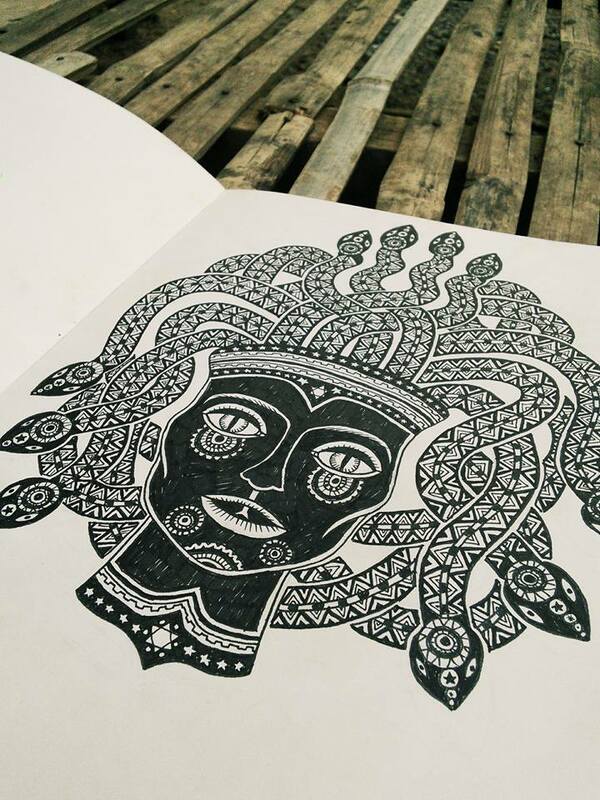 Keep an eye on our Twitter and Tumblr for sneak peeks at what we're creating between now and then! All images on this blog are copyright © to Emily Rose Lambert 2016 (unless otherwise stated). ALL CONTENT © EMILY ROSE LAMBERT 2013 ... Simple theme. Powered by Blogger.